It is a dark time for all Notre Dame fans. The Fighting Irish have lost three games in a row for the second time in the Brian Kelly era. Turnovers, missed field goals, botched holds, and injuries have plagued the Irish. With their backs against the wall, the Irish travel west to face their long-time rivals, SOUTHERN CAL, and to achieve the clean sweep of rivals in a painful 2014 season. Want an actual scroll of the above? Head here, copy the above text, and laugh. Originally, I wanted to embed this, but I couldn’t get it to work. Aggies, we feel your pain. Texas A&M got pretty hosed on an offsides no-call that turned into a game-ending interception as Aggie QB, Kyle Allen, did what you are supposed to do when you draw someone offsides: snap it quick and toss a prayer up and see if you get lucky. To a lesser extent, we feel you too Cal. I really hope this story has a good ending. An Ohio State player has been missing since Wednesday and based on the limited information, it definitely doesn’t sound great. If you’d like to take a dive into the culture of Texas A&M, this longform piece on Bonfire (yes, it must be capitalized), is a must read. The Iron Bowl is easily the biggest game this week. If you need a history lesson, ESPN has a pretty cool infographic on the affair. R.I.P., Jim Butz. The press box employee was instrumental in the creation of the now iconic Fighting Irish logo created. A lot has been made about the sideline conversations between Golson and Kelly. This piece had some pretty good insight on how the two handle their business. 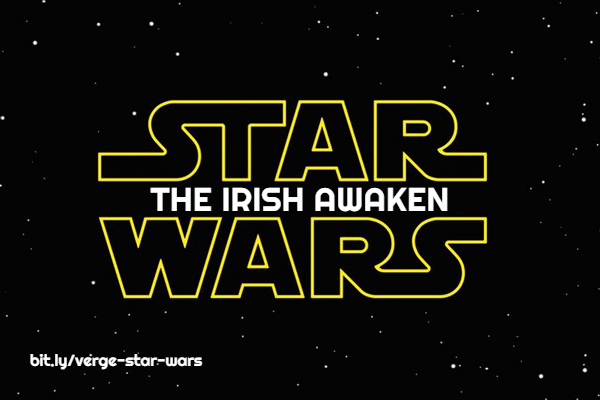 And now your moment of Nix… STAR WARS TRAILER IS OUT AND ALL CAPS ARE TOTALLY NEEDED! Yeah, Subway is out of retirement, but we ain’t stopping now. Mountain Dew Code Red + Gin (Tanqueray is what Subway, the creator of the drink, recommends). I married a good one, y’all.